One of the most stressful and emotional parts of any divorce is how it affects your children and your time with your children. 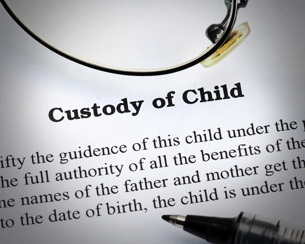 Our attorneys handle custody, visitation, divorce, spousal support, and child support cases in Manassas, Prince William, Manassas Park, Gainesville, Haymarket, Woodbridge, Lake Ridge, Dumfries, Bristow, Warrenton, Centreville, Fairfax, Stafford, Chantilly, Leesburg, Ashburn, Sterling, Herndon, Reston, Alexandria, Annandale, Arlington, and throughout Northern Virginia. We represent clients in both Juvenile and Domestic Relations Court and Circuit Court. Regardless of where your case begins, our attorneys will work with you to a successful resolution. We will pursue alternative resolutions to accomplish your goals for your family, and we are willing to aggressively litigate your case. We are always prepared for litigation and will not settle for less than your demands. For many people, Northern Virginia is a very transient area. Both government agencies and the military station their employees close to our nation’s capital, Washington, D.C. However, when those job assignments change, it will put a strain on existing custody and visitation arrangements. Whether you are interested in relocation or are concerned about your ex-spouse leaving with your child, we can help protect your parental rights. We are aggressive trial lawyers, and we will fight to protect your rights and the best interests of your children. Grandparents offer much more than guidance and encouragement. In many situations, they offer stability, financial support, and child-care. What rights do those grandparents have and what can they do to protect the best interests of their grandchildren? Our attorneys can help you answer those questions and create legal solutions that protect the best interest of the children involved. Learn more about the legal protection we offer parents and grandparents who are concerned with protecting and raising their children. Schedule your initial consultation by contacting us online or by calling 703-361-0776.